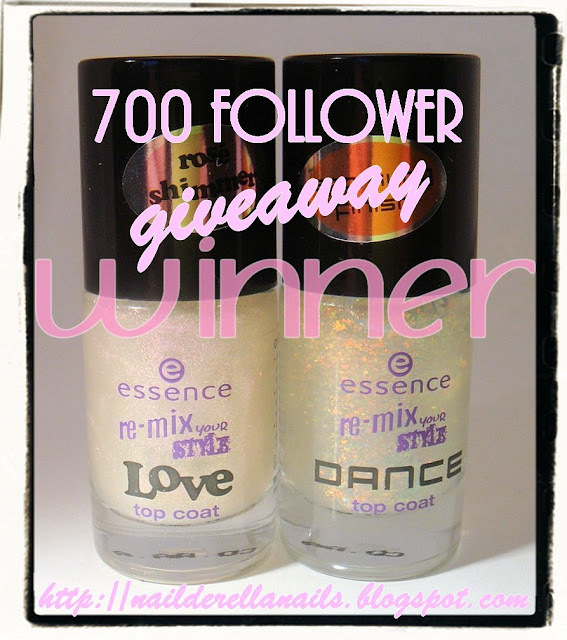 Yay~ I'm glad to announce the winner of my 700 follower giveaway! ...Holly Z. from Paint on the Glitz. Congratulations!! I will be sending you an email to ask for your address.